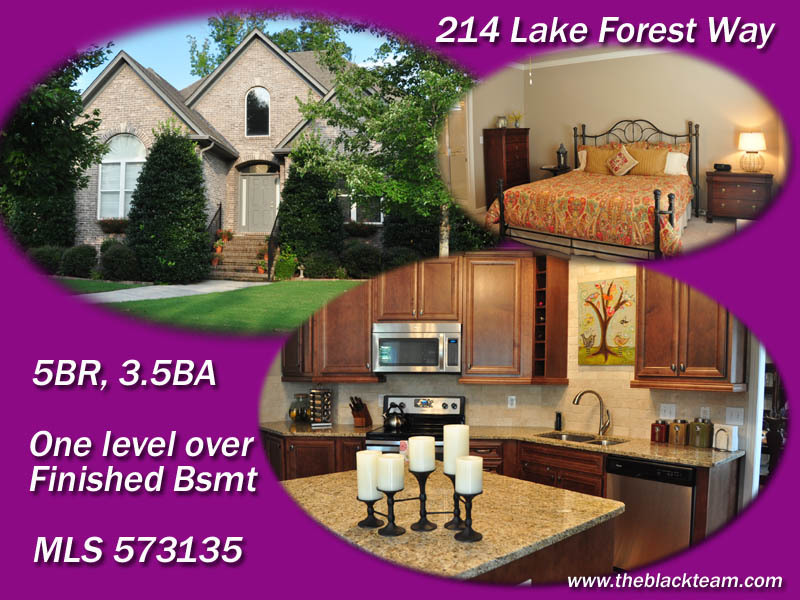 If you’re looking for a home for sale in the Birmingham area with loads of space and some beautiful upgrades, check out 214 Lake Forest Way. This is a 5BR home on one level over a finished basement. The owners have just completed a major upgrade of their Kitchen, and it’s enough to make any Chef envious! This home is located on a cul-de-sac street in Lake Forest, one of the more desired neighborhoods in the Birmingham area. Zoned for the new Alabaster city school system. Featuring lots of open space with high ceilings and attractive neutral colors, this home needs nothing.